Ora-Clens Water Additive provides a simple way to keep teeth bright and breath fresh. Unchecked plaque formation can lead to the development of periodontal disease, the number one clinical condition affecting cats and dogs today. Simply add this veterinary solution to your pet's daily drinking water to reduce the formation of plaque and keep your pet's teeth and gums healthy. 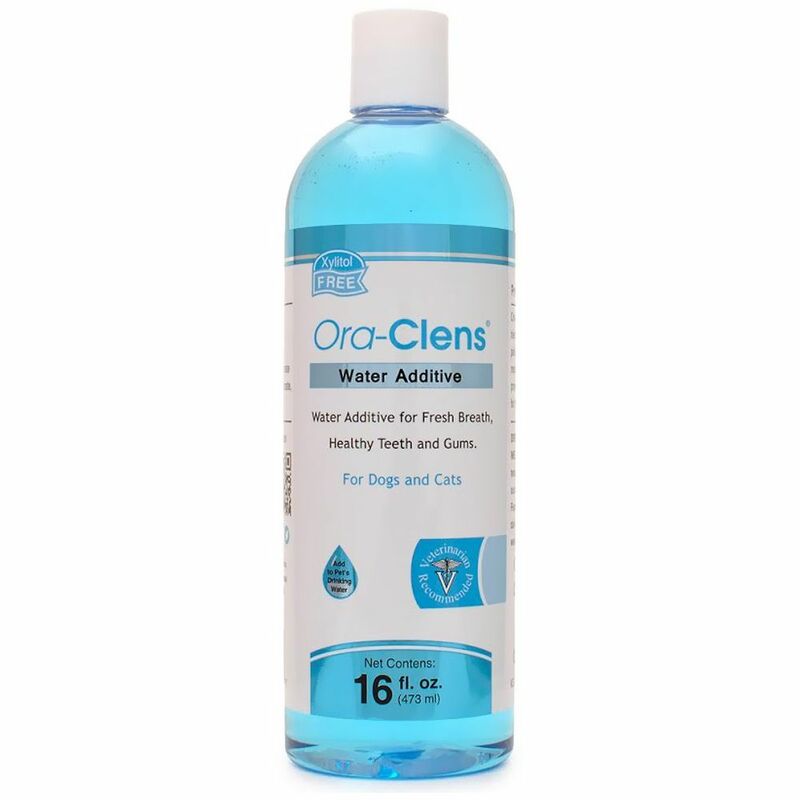 Ora-Clens Water Additive for Dogs & Cats also is made here in the USA without the use of xylitol to ensure that it's completely safe for your pet. This bottle includes 16 fluid ounces of the solution that is safe for daily use in cats and dogs over 8 weeks of age. Deionized Water, Propylene Glycol, Sodium Benzoate, Potassium Sorbate, Methylparaben, Stabilized Chlorine Dioxide, Sodium Bicarbonate and Blue 1. SHAKE WELL BEFORE USING. Add one teaspoon (1 tsp.) of solution to eight ounces (1 cup) of drinking water. Replace drinking water daily. Safe for daily use for dogs and cats over eight weeks of age. Recommended by Veterinarian. This product is awesome!! Keeps Casey Lee's breath fresh. His annual teeth cleaning was amazing with minimal plaque. 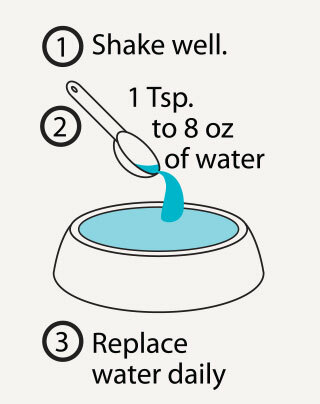 I have previously tried two other water additives in my dogs' water. The dogs' avoided drinking the water eventhough the bottles said they were tasteless and odorless (they weren't odorless). finally tried Ora-Clens and the dogs are drinking the water, no problem. I would recommend this product. This item helps keep puppy's teeth clean and healthy.